Our final DICAMP brochure has been published and is now available in French and English. Thanks again to all project partners and students who participated in creating the brochure. Especially a big thank you to Andy Gädt for designing and to Jérémie Ricaut for translating the brochure! Thanks to DICAMP students Ezzedine Ben Rhima, Mahmoud Ben Jeddou and Abdelmonam Kouka as well as Helmi Ben Rejeb from ENIT our Innovation Lab is now ready to use. All of them were highly involved and committed to create the lab which is based at ENIT and equipped with laptops, posters and other technical things. Even a new floor was sponsored by Ezzedine from his own money – what a strong commitment to DICAMP – thanks so much! We are looking forward to your visit at the lab. 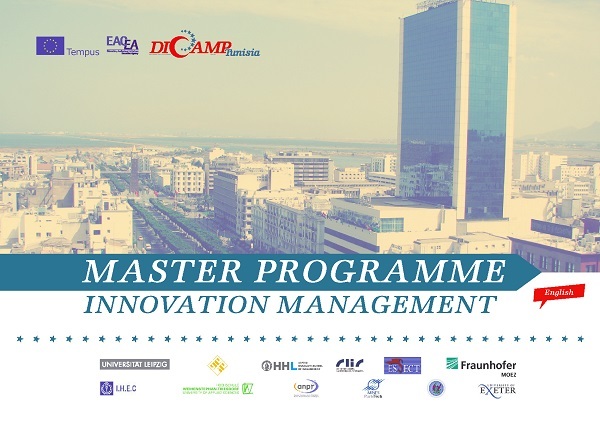 On 24 September 2014 DICAMP students organized the first Innovation Master Conference at Institut Arabe des Chefs d’Entreprise in Tunis. The conference was very well attended by representatives of the industry and academia as well as students. The invited speakers came from diverse fields and spoke about the role of innovation in Tunisia by presenting their company example or field of research. Thanks to the students’ organizing team and all speakers of the conference. Ulla Kainz from HSWT offered an Open Lecture on the Willingness to pay for bioplastic consumer products: evidence from an experimental auction at IHEC on 22 September 2014. The lecture of Ulla was followed by two more open lectures of our DICAMP students Khaoula Behi and Aida Boukhris who spoke about the topics Managing Innovations and Business Model Innovation. Also Dr. Hagen Habicht from HHL taught the modules Open Innovation and User-led Innovation to our 2nd and 3rd year DICAMP students at ENIT on 23 September. 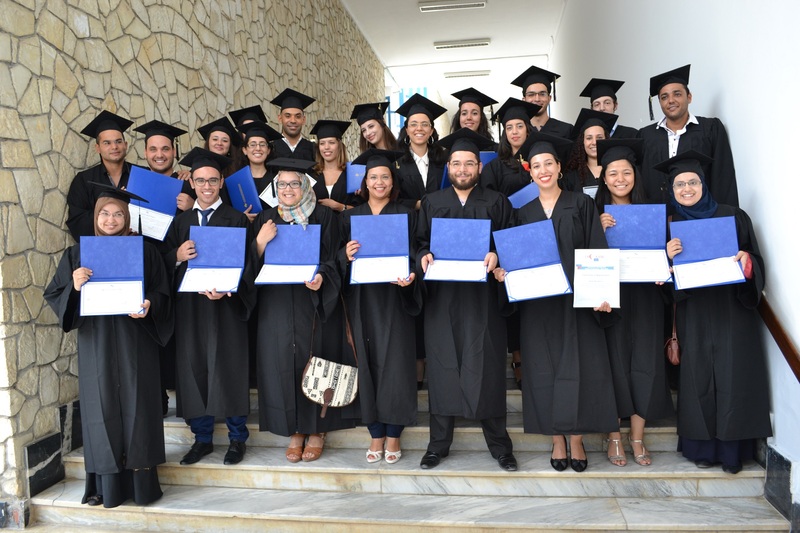 Our DICAMP students who started the programme in 2012 celebrated their graduation on 20 September 2014 at ENIT in Tunis. The ceremony was opened by the new director of ENIT Prof. Hatem Zenzri, the president of University Tunis El Manar Prof. Fethi Selloueti as well as Prof. Dr. Ralf Reichwald. Our project coordinator Dr. Anna Trifilova handed the diplomas to our students together with Prof. Ridha Ben Cheikh. The event was also attended by our DICAMP project partners and the students’ parents and friends. Congratulations and thanks to all for the great two years of our master programme. As you have red in our previous newsletters, the German accreditation agency ASIIN was chosen to verify and certify our master programme innovation management. After the training with ASIIN experts in September 2013 and the four accreditation workshops from November 2013 to January 2014 the final version of the accreditation application was finished and submitted to ASIIN in March 2014. 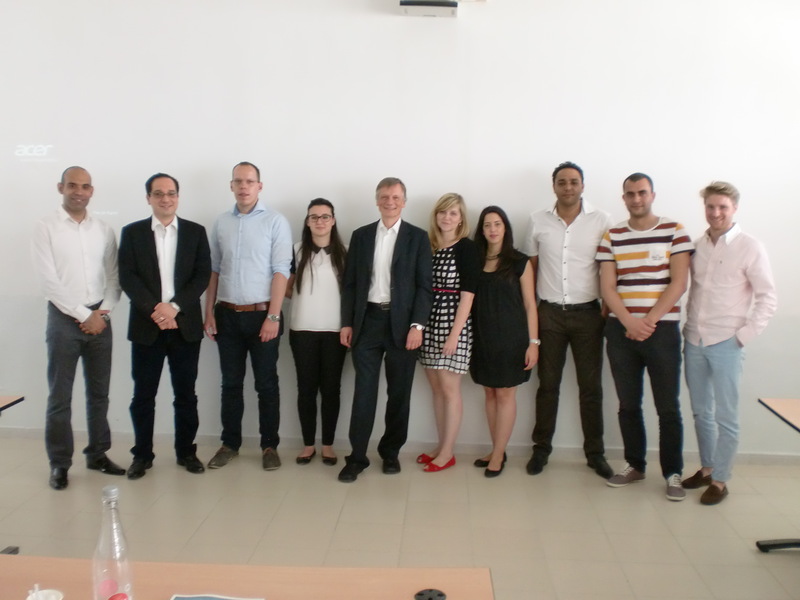 In June a two days on-site accreditation visit was organized to evaluate the environment, students and teachers of the master programme that needs to be accredited. The accreditation team consisted of four external German auditors and one representative from ASIIN who attended the visit in Tunis. Based on a given agenda, the auditors talked to the teachers and students of the master programme, had a close look at some project studies and master theses and got an impression from the universities and our DICAMP library. Currently we are waiting for a detailed report of the visit but so far the impression from the auditors was positive. They already suggested some points within the programme that need to be improved by providing more detailed information which will be done until the end of August. We are looking forward to working on the discussed points in order to ensure the quality of the programme. After finishing their three months of working on the master theses either in Tunisia or Europe, all of our students needed to defend their final works in Tunis at Ecole Nationale d’Ingénieurs de Tunis (ENIT) from June 17th – June 20th 2014. All of them had chosen very diverse topics e.g. business model innovation, online collaboration, exporting and implementing German educational services in to Tunisia, crowdsourcing in Tunisia or also innovative topics from health care. 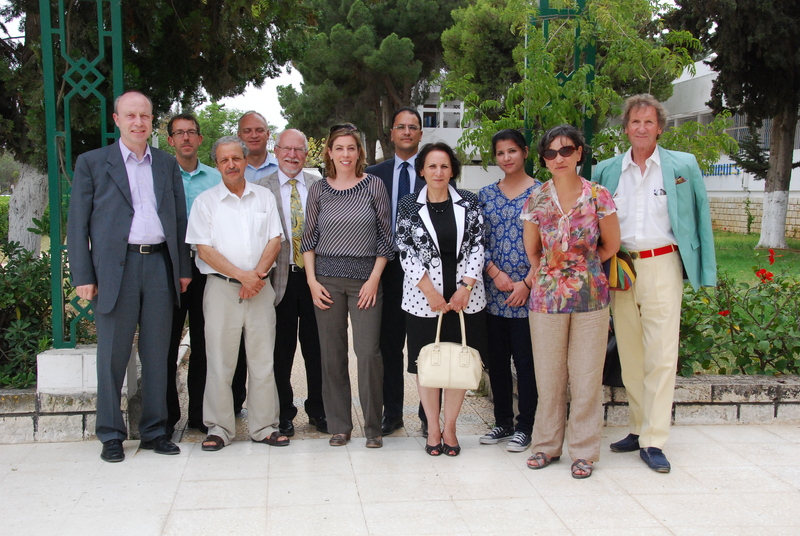 The students defended their theses in front of a committee consisting of Tunisian and European supervisors. Besides the Tunisian supervisors from ENIT, IHEC and ESSECT, Prof. Dr. Posselt, Dr. Nizar Abdelkafi and Romy Hilbig from MOEZ as well as Johannes Gamel from HSWT attended the defenses in Tunis. All of our students did a great job in presenting their theses and finished with this last step their final year of the master programme. 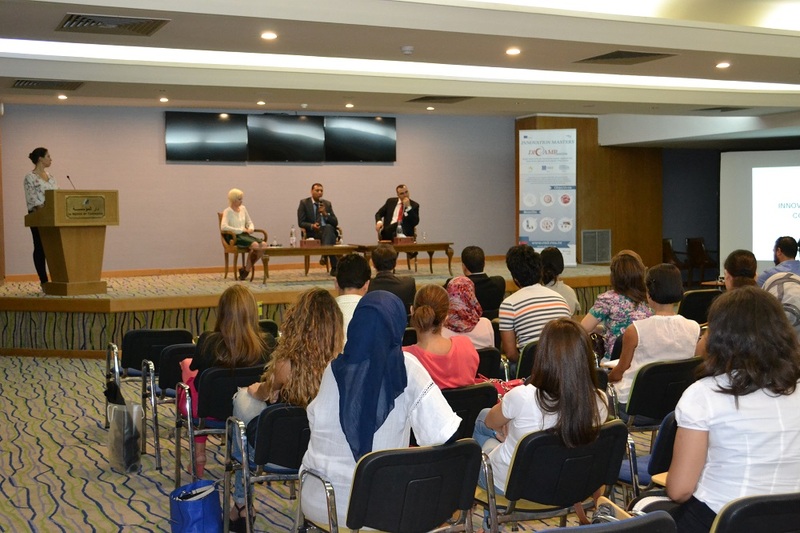 The graduation ceremony will take place in September during our second summer school and final project event in Tunis. 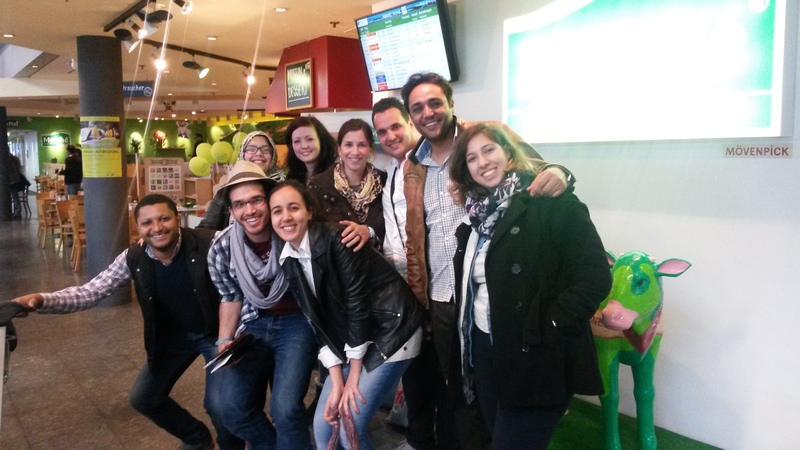 On May 22nd 2014 Eva Valle Casanova (Tempus Project Officer from Brussels) and Mohammed Salah Harzallah (National Erasmus+ Office Tunisia) visited Ecole Nationale d’Ingénieurs de Tunis (ENIT) for the second Tempus Field Monitoring Event. With this visit both got an on-site impression about the development and successes of the innovation management master programme as well as the accomplished milestones of the DICAMP project. Students from class 1 and 2 have been invited to this event, so that Tempus representatives could ask them about the programme as well as project studies and master theses which they did in Europe and Tunisia. Besides the students also Tunisian professors were asked about the general teaching and learning experiences within the programme and the results of the working packages within the DICAMP project. Both Eva Casanova and Mohamed Salah were pleased with our progress and they are looking forward to the final project report.